An abundance of wildlife can be found in Forest Park — the largest urban park in the country. Forest Park's extensive system of trails, fire lanes and roads provide excellent opportunities for hiking, walking, running, and simply escaping the urban atmosphere. 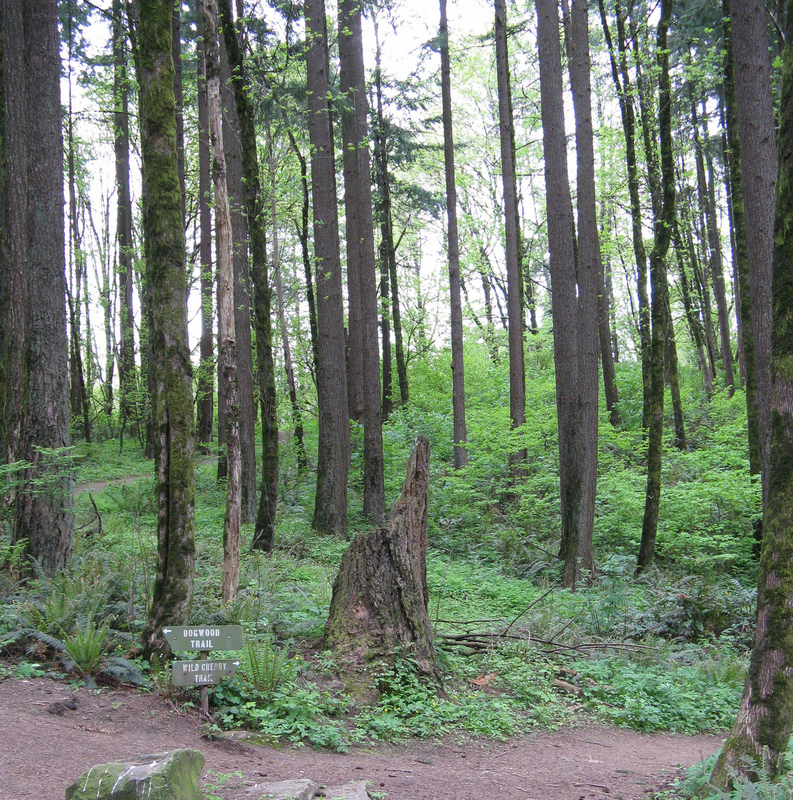 The 30-mile Wildwood Trail in Forest Park is part of the region’s 40-Mile Loop trail system that links Forest Park to pedestrian and trail routes along the Columbia River to Gresham, through southeast Portland, along the Willamette Greenway, and back to the Marquam Trail in southwest Portland. Due to Forest Park's significant size and its continuous, unfragmented habitat, it boasts an impressive diversity of wildlife for an urban park. Currently, a tenuous corridor of natural vegetation connects the park's northwestern end to less developed areas and, ultimately, Oregon's Coast Range. With its massive tree canopy and substantial undergrowth, the park serves as a natural air purifier, water collector, and erosion controller. Find trail maps and events with The Forest Park Conservancy. Get started at Forest Park's most popular trailheads.